Nothing gets your blood pumping like a fully automatic machine gun. Our Full Auto Experience will fuel your adrenaline with your pick of 3 firearms from our Full Auto arsenal. Our staff will provide instruction and assist you in reloading so the fun never stops. Firearm and lane rentals are subject to availability. Can’t decide which 3 to try? Shoot them all for $249.95 with our Ultimate Full Auto Experience and we’ll throw in a Centerfire T-shirt! 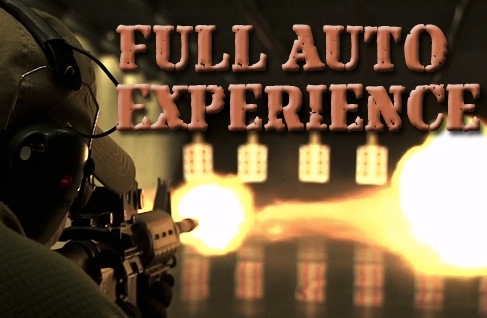 Reservation for the Full Auto Experience is required either online, email or by phone 913.782.4900. Your cart is empty. To make a booking, please select the date in the calendar, and then select an available time you would like to reserve for your group.